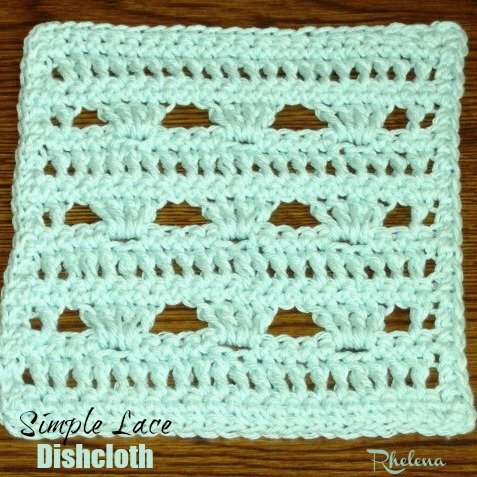 This crochet dishcloth features a simple, yet pretty lace stitch. It’s great for the kitchen, the bathroom, or for cleaning and dusting around the home. The finished size measures 7 by 7 inches, but can be increased as needed in the multiple provided. 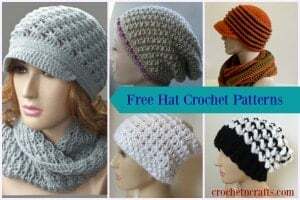 Thus, you could easily crochet up a matching placemat, a coaster or a pretty table mat. Ch 23, or any multiple of 6 + 5. Row 6-13: Rep rows 2-5 twice. Row 15: Ch 1, sc in first st and into each st across. Turn. Edging: Ch 1, sc evenly around working 3 sc in each corner; join with slip stitch in first sc. Fasten Off. This dishcloth pattern is also available on Ravelry and Craftsy in a $1 PDF.